Perfect lips that are soft, rosy are every women’s dream and with the onset of winters, we definitely need to gear up protecting our lips from turning dry and chapped (the most common issue we all face in winters)! All that you need to stash up in the kitty, handbag is a perfect lip balm that would nourish, moisturize and make your lips super soft. Along with good hydration, lip balms must contain a good amount of SPF, so that your lips are saved from harsh UVA/UVB rays (even in winters). So welcome to our post where we have hand-picked 12 Best Lip Balms that do a great job in perfecting your smile and make you forget about dry, cracked or chapped lips. Take a look and start shopping for them right away. 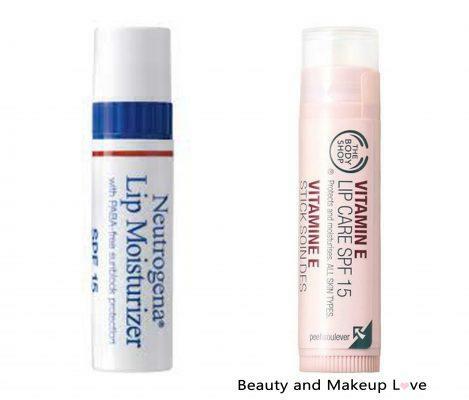 Neutrogena is known for its splendid skin care product and this lip moisturizer is everything that your lips will need. The lip balm is PABA (para-aminobenzoic acid) free, fragrance-free and has an SPF 15 that protects your lips from turning dark. The lip balm is feather light, stays for about 5 hours and recovers your dry lips to soft and hydrated. You can even use this as a base for your lipsticks. It’s a perfect medicated lip balm for dry, chapped lips hence, it tops our list of Best Lip Balms for Dry, Chapped Lips! Have you noticed your favorite beauty guru swear by Vitamin E? Vitamin E is a holy grail ingredient for your skin and for your lips as it nourishes and plumps the lips and this lip care from the house of The Body Shop is our current favorite. It is formulated with – Vitamin E and wheat germ oil that protect your lips from turning parched. The good thing about this lip balm is that it has SPF 15, thus saving your lips from UVA/UVB rays. We highly recommend this lip balm for the cold winters. We are pretty sure this cutie would be in every girl’s vanity bag. 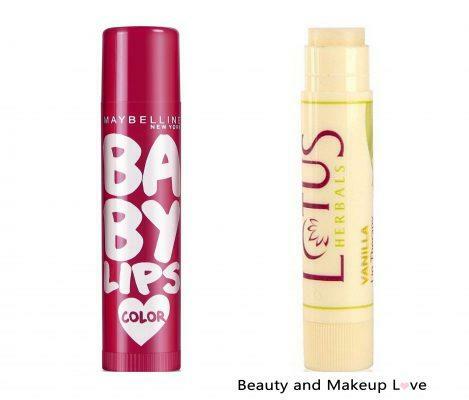 Maybelline baby lips color balm comes in 7 different shades that provide moisturization up to 8 hours. The lip balm is infused with antioxidants and SPF 20 that protects your lips from turning dark, dry. Within a few weeks your lips will turn rosy and baby soft, the best thing is that it will work even on the driest lips. It keeps the lips moisturized for about 2-3 hours after which you’d need to reapply it. This lip balm from Lotus is a saviour for dry lips. It comes in 6 different flavors and is infused with Shea butter, kokum butter that helps in healing dry lips and make them satin soft. It even offers sun protection with SPF 15. 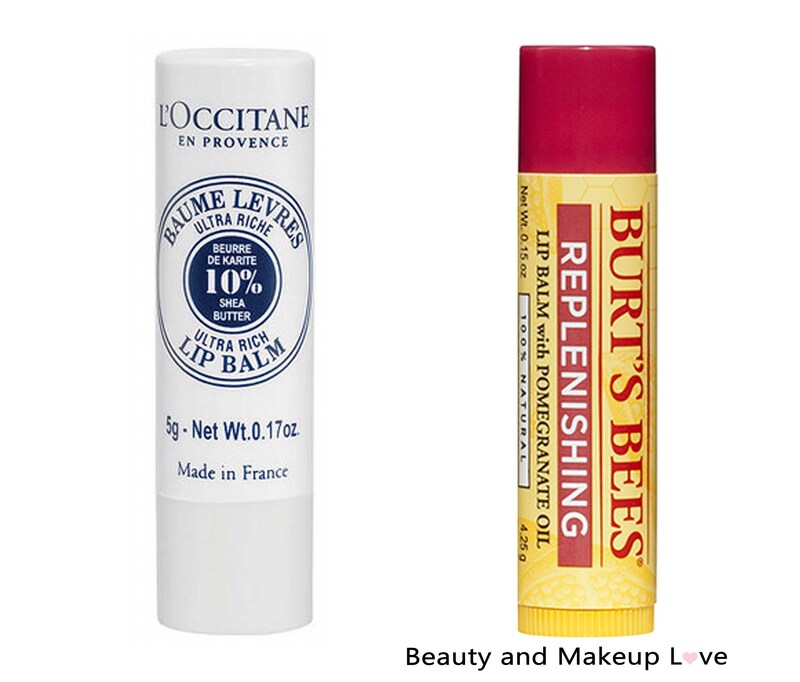 This lip balm lasts for around 2-3 hours keeping the lips moisturized! Use them regularly and pucker up your lips for the perfect pout selfie. Nivea offers unmatchable skin care products and this lip balm is perfect for the upcoming winter. Thanks to the hydra IQ formula that moisturizes the lips for long hours that leaves your lips velvety soft. You would love the soft rosy tint that gives a healthy look to your lips and we bet you would stop smearing it on your lips. It does have a rosy scent which would even appeal the sensitive nose. So girls, if you are a sucker for tinted lip balms then this is your go-to product. 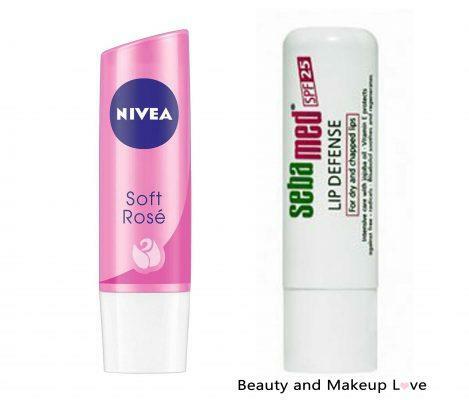 Read>> Nivea Lip Butter Raspberry Rose! If you want super soft, kissable lips, then get your hands on this – Sebamed lip defense lip balm. This lip balm will make you forget all your lip woes – thanks to the excellent ingredients such as Vitamin E, bisabolol, jojoba extract, rice bran that repair the damaged lips and protects the lip tissues from UVA/ UVB rays. It has a light texture, leaves your lips soft, supple and you can notice changes in your dry, chapped lips within weeks of using it. 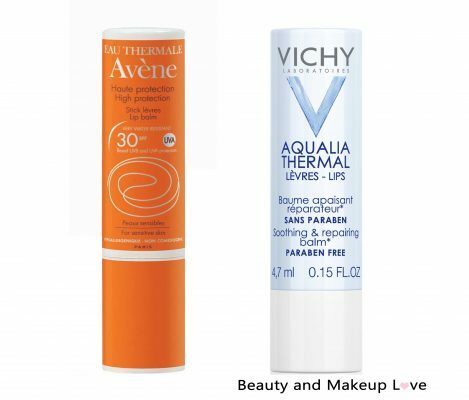 If you are looking for a luxury brand lip balm, then we suggest you try the famous Avene High Pro SPF 30 Lip Balm that hydrates the lips and even protects it from the UV rays. It comes in a retractable lipstick packaging, has a creamy texture which is easy to glide on the lips. It stays for 5-6 hours and keeps your lips soft, moisturized for the day. 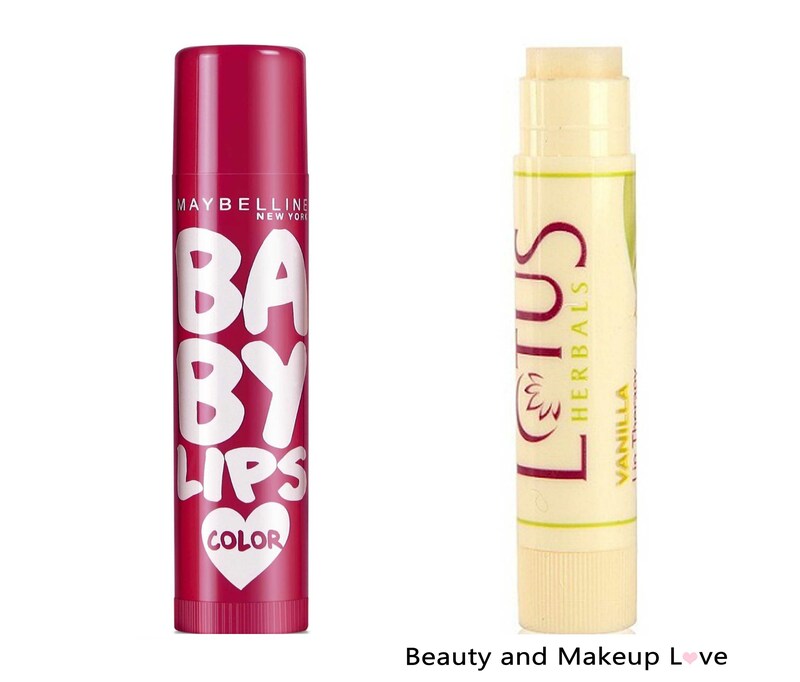 This product is paraben free, water-resistant and would suit even the most sensitive lips. It is a value for money product. Vichy Aqualia Thermal Lip Balm is infused with the goodness of glycerin, shea butter, Vitamin E, Asiatic acid and thermal water which is gonna beautify your lips in the best way! The ingredients work in rejuvenating the chapped lips and work perfectly for the winters. It glides on to the lips smoothly, hydrates the lips for about 6 hours and recovers quickly. It is paraben free and is made for super dry & sensitive lips. Also works great for dark lips! Give your lips the right nourishment with Kiehl’s No.1 lip balm that nourishes your lips in the winters and prevents chapped lips. The key ingredients that make it one of the Best Lip Balms are aloe vera extract, Vitamin E, wheat germ oil, squalene, sweet almond oil, lanolin that repair your dry, chapped lips. It comes in a tube packaging and a small amount of the product is sufficient to pamper your lips. 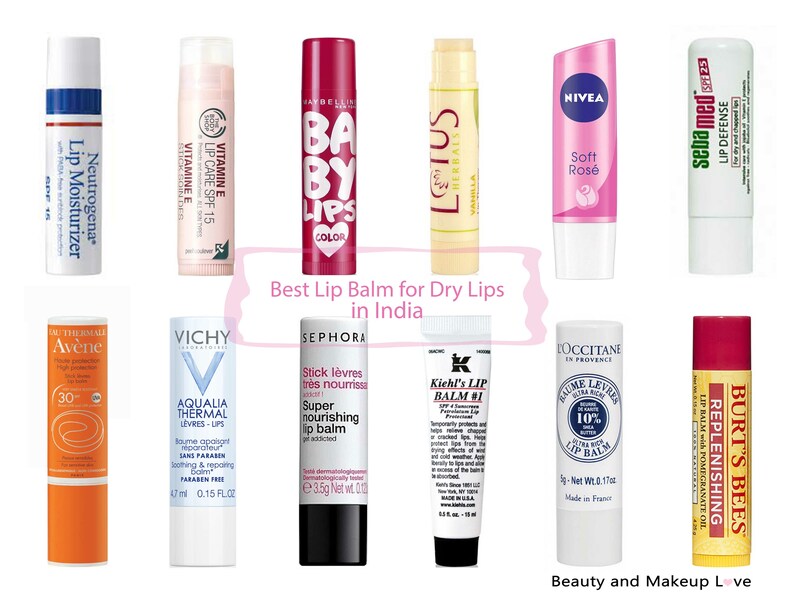 The only con is that it contains paraben and has a low SPF 4 but still, we couldn’t miss including it in the list of Best Lip Balms! 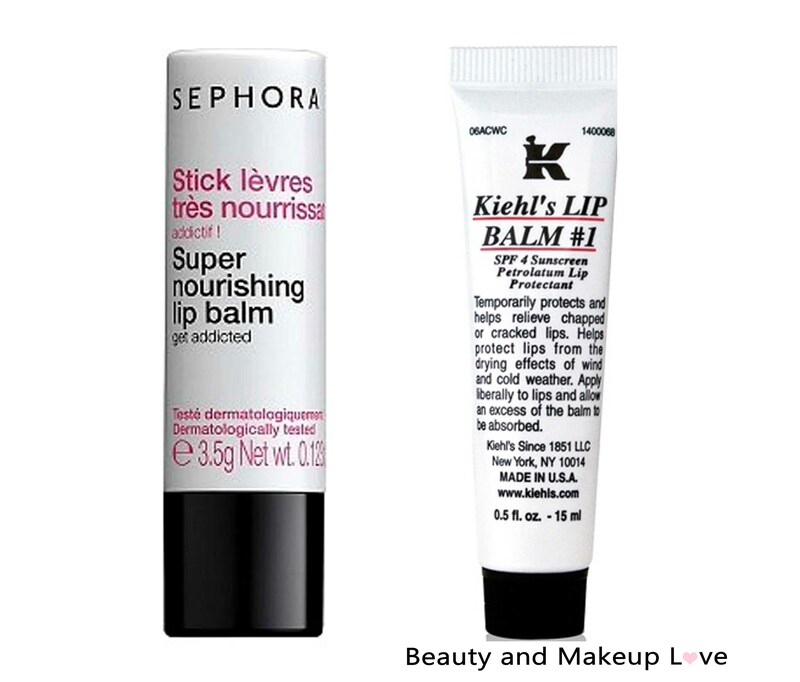 Sephora super nourishing lip balm will bring an end to your dry, chapped lips. It is infused with the goodness of shea butter, beeswax, grapeseed oil, vitamin E, and meadowfoam seed oil and is free of paraben, sulfate, GMO. What more would you want from a lip balm? So many great ingredients that works excellent for the lips! The lip balm has a light texture with a soft vanilla fragrance and gives a slightly glossy finish to the lips. The efficacy is for 4 hours and leaves the lips super moisturized. If you are looking for an effective and International brand lip balm then this is a must buy. This is one of the remarkable brands that manufactures 100% organic and chemical free products. And this lip balm has the goodness of pomegranate oil, beeswax, lanolin, soyabean oil, sunflower oil and other powerful ingredients that work in boosting healthy lips. The ingredients protect your lips from free radicals, dryness and leave a soft tint that makes your lips prettier. This lip balm lasts for 5 hours and is recommended for dry lips during the winters. Have you used any of these lip balms? Then we would love to hear your views in the comments below. I was thinking to try the kiehl’s one from a long time, as I do have other ones.